Kyle joined Watsi on September 19th, 2016. Two years ago, Kyle became the 2300th member to automatically support a new Watsi patient every month. Since then, 2,806 more people have become monthly donors! 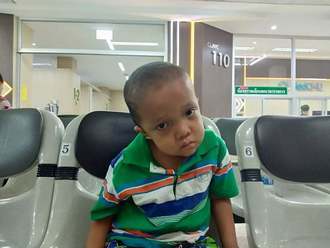 Kyle's most recent donation supported Kyaw Myat, a boy from Burma, to fund brain surgery. Kyle has funded healthcare for 29 patients in 10 countries. 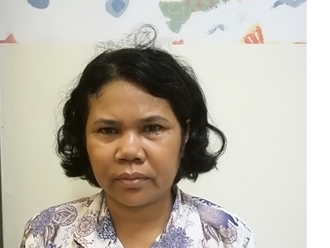 Sophal is a woman from Cambodia. She has three sons, four daughters, and fourteen grandchildren. In her free time, she enjoys cooking, watching TV, and spending time at home. Five months ago, she developed degenerative formina stenosis of the spine. This causes her immense back pain, and she has been unable to walk and work. Sophal needs to undergo a laminectomy procedure. This will help relieve the pressure on her spine and help her walk independently, and she will be able to return to work. The surgery is scheduled for December 3 and will cost $930. She says, "After the operation, I hope I can walk well and can return to work." Judith is a mother of five from Malawi. She spends her days with her new baby and four other children, working on the family farm. She enjoys praying and studying the Bible in her free time. Since last year, Judith has been experiencing burning pain in the abdomen. She has been diagnosed with ovarian cysts, which are fluid-filled sacs on the ovaries. She needs to undergo an ovarian cystectomy, a procedure in which surgeons will excise the cysts. Our medical partner, World Altering Medicine, is requesting $541 to fund Judith's surgery. On August 23, she will undergo gynecological surgery at Nkhoma Hospital, our medical partner's care center. The requested money pays for supplies, medications, and seven nights of hospital stay. She is excited to receive free surgery and looks forward to increased strength after recovery. She says, "Farming will be easier once I am healthy again. Thank you for this program!" Juliana is a mother from Tanzania. Her daughter is in sixth grade and is looking forward to going to college. Juliana’s husband has retired but currently is working as a part-time secretary for a flour company. Two years ago, Juliana started feeling pain in her right leg. She has been to several hospitals and used several medications, but the pain has continued. She has been diagnosed with right knee arthritis. She is in pain and is not able to walk. Fortunately, Juliana learned about our medical partner, African Mission Healthcare Foundation (AMHF). At AMHF's care center, surgeons can perform a total knee replacement to relieve Juliana of her pain and allow her to walk easily. Treatment is scheduled for July 13, and Juliana needs help raising $822 to pay for this procedure. Juliana says, “I really wish to be able to get back to my day-to-day activities where I will be able to provide for my family and not experience such pain every time I am walking." Fred is a farmer from Malawi. He lives with his wife, and they have three grown children, who help run the family farm. To help supplement the family income, Fred raises chickens. In his free time, he likes to sit and talk with his wife. Since November 2017, Fred has been experiencing pain and urinary difficulty. These symptoms are caused by an enlarged prostate, a condition called benign prostatic hyperplasia. 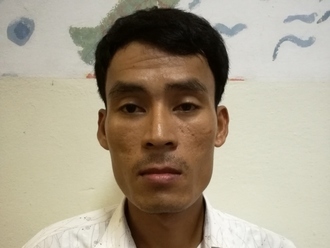 He needs to undergo a prostate resection surgery, a procedure in which surgeons will remove part of the enlarged gland. Our medical partner, World Altering Medicine, is requesting $733 to fund Fred's surgery. 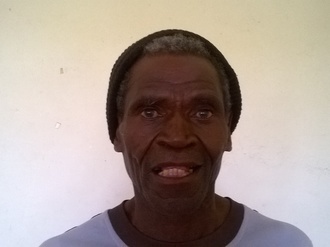 On March 13, he will undergo prostate surgery at Nkhoma Hospital, our medical partner's care center. The requested money pays for supplies, medications, and two weeks of hospital stay. 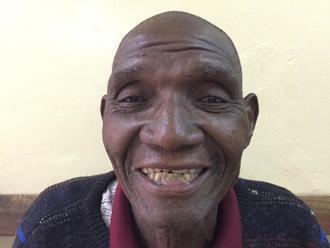 Fred and his family were thrilled to find out his surgery would be funded, and he is looking forward to going back to his normal activities pain-free He says, "Thank you Watsi."